BP is still trying to contain the leak. And this time, they're using an old idea again, which is a sealing cap. Hopefully, better than the last one. The cap is going down at some point today, and it'll be another 48 hours or so before we know if it works. 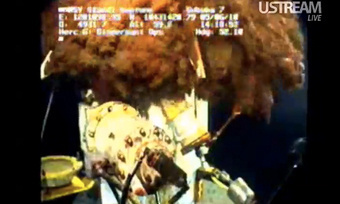 BP will conduct pressure tests to determine how much oil the cap is collection. If this is successful it would be able to contain up to 80,000 barrels a day, and compared to the current system's 25,000.